The minute my son saw the pencils, he was too excited to use them. He loves the different colors and of course he can use his favorite color which is green and purple.. I'm glad that it brings smiles and excitement to the kids knowing that their pencil at school would be colorful now and not dull. The #2 pencil is dark enough that my son doesn't need to exert more force in order to make his writing visible. The eraser is also good, don't need to use a lot in order to erase the writing. Thank you BIC XTRA-Fun #2 pencils, because of your new and innovative ways of making the pencil it gives more excitement towards my son the fun of using pencils in writing. I didn't know BIC has pencils now. So cute! I'd love to get this for me. Hehe. Kuya C is doing great in writing with that awesome pencil. Great job and please keep it up. 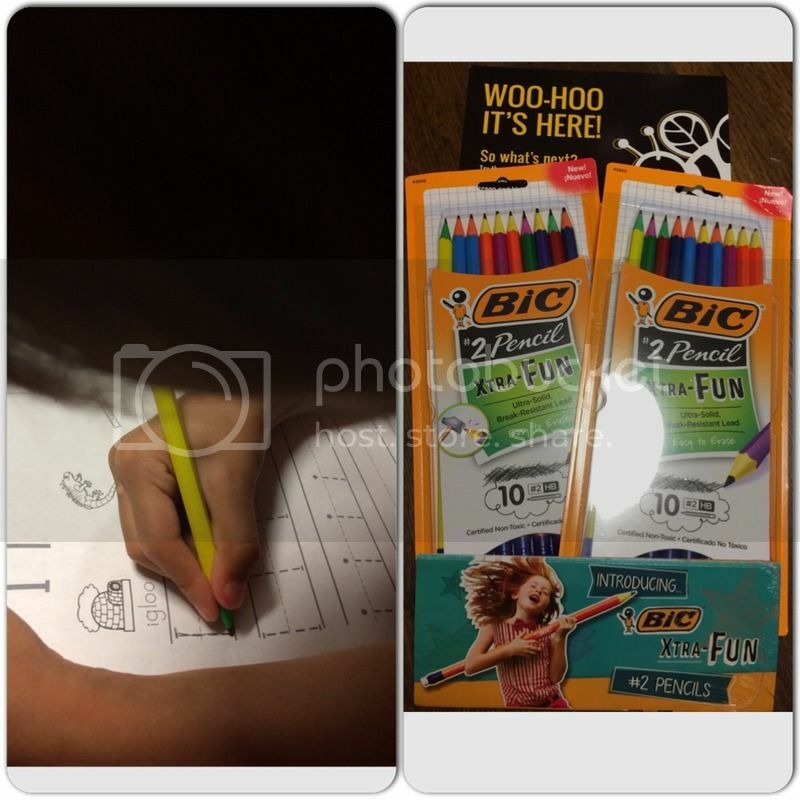 I am so outdated with crayon brand never heard BIC just now. Its always great to receive free stuff. My son is not very fond of doodling yet, I think this pencil will make him more interested in writing. reminiscing those grade school days., when we are required to have Bic ballpens. The pencils came along later ata. I ove BII, I think they have the best colored penils and pens.